The ultimate flavour of the superyacht industry going into 2013, after a somewhat tumultuous year amid seas of inclement weather and economic instability, is one of sweet success, with silver linings hidden in some unexpected corners, according to insider sources at Yachting Pages. European shipyards orders are thriving, due to the poor performance of the Euro on international markets. Though bad news in some quarters, the deflated currency has made the Eurozone’s shipyards and component parts incredibly attractive to buyers in markets such as Russia, and therefore the new-build and refit region of choice for many. On the boat show front, the public-facing gauge of the superyacht industry’s health is positive exhibitor and visitor figures, which confirm the market’s robust vital signs. The Fort Lauderdale International Boat Show fought back from Hurricane Sandy to finish with a record-breaking weekend. Overall visitor figures were down just 2% on 2011 and exhibitors reported serious buyers, qualified leads and order books full. The Yachting Pages team was ecstatic with the outcomes from FLIBS 2012, where their booth was housed in the US Superyacht Association (USSA) pavilion near to the America’s Cup trophy. Ian Jones, sales manager of Yachting Pages, said, “We smashed our sales targets and met some very interesting new clients. From high winds to low lands, the Netherland’s Marine Equipment Trade Show (METS) this November also produced encouraging results. The event was the largest in its 25 year history and Jessica Pegg, Yachting Pages’ sales team leader, said, “We sent a robust sales team who spent a very busy three days meeting with long-term clients as well as many new ones. 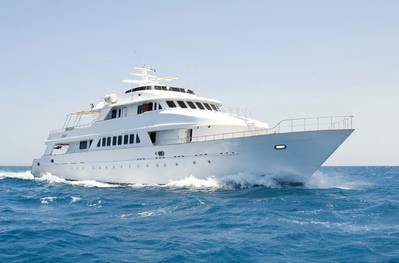 Yachting Pages is now finalising content for its up-coming 2013-2014 directories, due to begin its hand-delivery schedule in over 90 countries worldwide, in May 2013. Work is also just beginning on the next edition of Yachting Pages hard-backed premium product, the Superyacht Owners’ Guide (SYOG), the indispensable publication for decision-makers in the superyacht sphere.